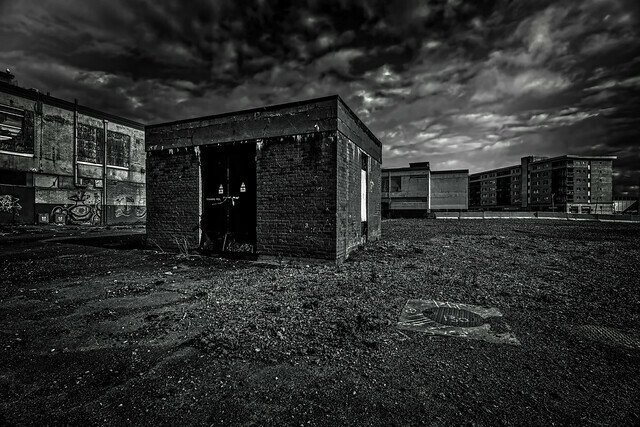 Ballymun Shopping Centre serves as an interminable reminder of the town’s glory days – tall, stoic blocks dominated the skyline for miles, wild horses roamed freely on grassy roadside verges and vast tarred spaces scattered with rampant children filled the air with an energetic buzz. Today, the old shopping centre lies derelict, it’s only discerning feature being a large weathered yellow 1916 Memorial poster the City Council never removed. In the 1960s, when the Ballymun tower project was undertaken, the idea was to emulate the rigid, imposing megablocks in Communist Eastern Europe. 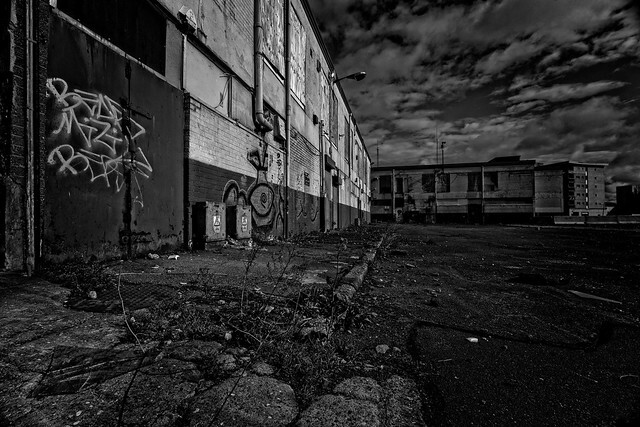 Ballymun was to link rural North Dublin – anywhere north of Glasnevin – and the city, which was absentmindedly spilling outward. The result was a slap-dash abstract of country and communism. Farmland and nineteenth-century thatched cottages tried to reconcile itself with flavorless gray structures and a new, burgeoning working-class council-centric populous. The horses and pidgeon clubs remained in situ, but re-imagined. This report, broadcast by RTÉ in 1991, showcases locals’ fervent determination for renewal, more than 15 years before Ballymun’s regeneration project got off the ground. 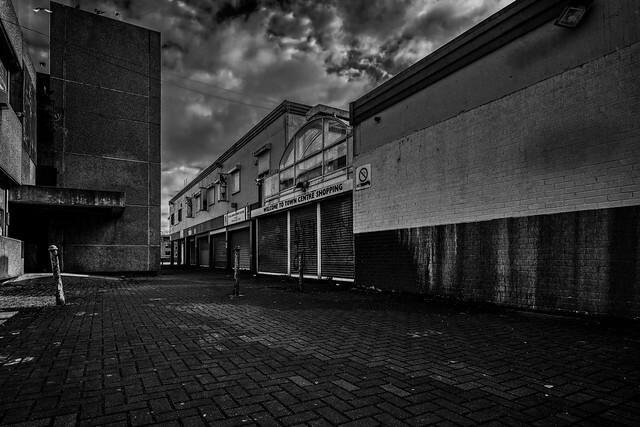 Since the regeneration project – the most costly in European history, and heavily subsidised by EU grants – was completed, the shopping centre has been largely forgotten about, its fate as murky as ever. 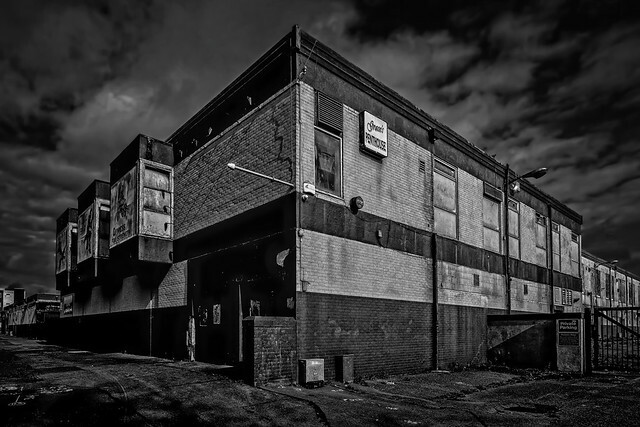 These images, captured by local photographer Padraic Reid, reflect the dreary melancholic gloom hanging over the old centre. Slated for demolition in 2018, its ramshackle edifice still stands, and despite local politicians’ protestations, may still for years to come.